LeBron James, Lionel Messi and Tom Brady were among the stars of sport who dressed up to celebrate Halloween on Wednesday. Halloween celebrations date back over 250 years and some of sport's biggest names marked the occasion by taking part in the festivities, many of them with their families. Paris Saint-Germain's players took part in a Halloween 'unlucky dip', but that did not stop Angel Di Maria from dressing up as an astronaut, impressing team-mate Kylian Mbappe. 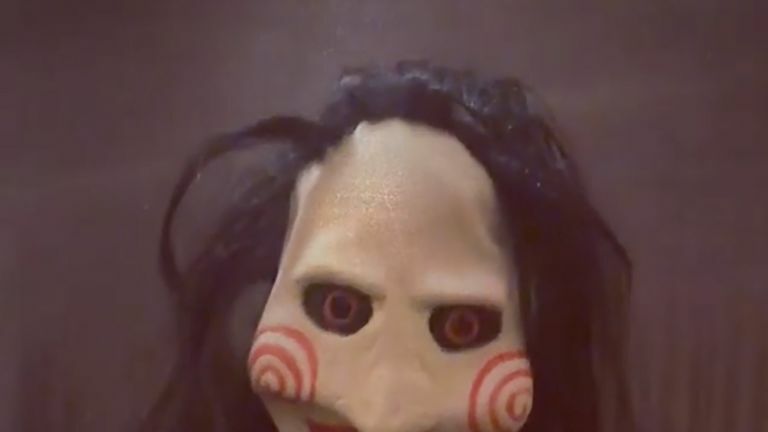 Barcelona forward Messi is used to frightening defenders, and he looked pretty scary judging by the outfit he posted on his Instagram story. Cristiano Ronaldo also got in on the act in a post titled 'Happy Halloween to everyone!!' on Instagram. Perhaps the best footballing Halloween social media post of all came from Arsenal defender Konstantinos Mavropanos, who appeared to frighten the life out of team-mate Matteo Guendouzi. LeBron turned up for the Lakers' game against the Dallas Mavericks dressed as Jason Voorhees, the lead character from horror movie Friday the 13th. The Indiana Pacers' Victor Oladipo arrived for game-day suited up as the Black Panther. Steph Curry was not tempted to don a Halloween costume for Golden State's game at New Orleans although his two children dressed up for the occasion. Five-time Super Bowl-winning quarterback Brady got in on the act, posting a family photo with his wife and three children wearing an outfit resembling the clown Pennywise from the 2017 film adaptation of Stephen King's novel It.